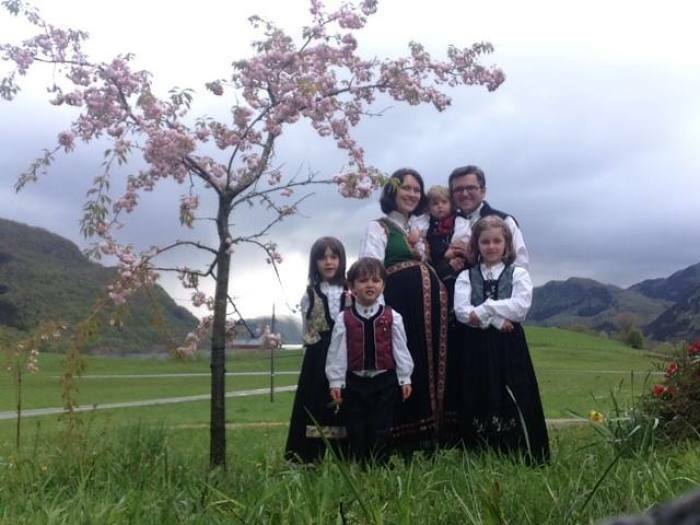 Norwegian child services have begun the adoption process for five children who were seized from a Romanian Pentecostal family in November after concerns were expressed about the parents' Christian faith, the family says. As previously reported by The Christian Post, the five children of Ruth and Marius Bodnariu were seized by the Barnevernet (Norway's child services agency) on Nov. 16 after the principal of the middle school their two oldest daughters attend cited concerns about the children's religious upbringing and how the parents were teaching their kids that God punishes sin. Although the principal only asked the Barnevernet to offer the family counseling services and never requested that the children be removed from the home, the agency removed all five kids from their parents custody on the claim that the children were being physically abused. The children, including a nursing infant son, have now been placed in three separate foster homes while their parents have been given extremely limited visitation rights. Although both parents can see their infant son twice a week, only Ruth can visit with her two oldest sons once per week while neither parent can visit their daughters. During an interview with The Christian Post, Daniel Bodnariu, Marius' brother, explained that his brother and sister-in-law have never mistreated or abused their children and only give them "light punishments" that cause little pain when their children behaved poorly. Bodnariu explained that while the agency hasn't found medical or physical evidence showing the children have been abused, the agency is relying on testimony from the children. And he questions whether Barnevernet has used unethical means to coax statements from the children. "They said it was the belief of the parents, the Christian belief, and they said this creates a handicap in children because they are telling children that God punishes sin, and this is wrong in their point of view," Bodnariu said. "In the [formal] accusations, they didn't mention the religious aspect, only make the case on abuse, even though there is no evidence." Bodnariu added that the children were removed from their parents' custody before the agency had performed background checks on the parents or interviewed neighbors and friends. After the family's appeal of the Barnevernet's removal of their children was denied in late November, a Barnevernet representative told the family on Dec. 15 that the agency would like to evaluate Ruth and Marius to determine what kind of people they are. Although the agency said the evaluation would not be conducted until February, the family was also informed that the Barnevernet has already begun the process to have their children adopted by other families. "There are a lot of people who need to adopt kids in Norway," Bodnariu said. "They don't give birth to child and there are a lot of people in Norway who want to adopt." Bodnariu said that the family's lawyer has advised them to take their case to a superior court. Pastor Cristian Ionescu, who pastors the Elim Romanian Pentecostal Church in Chicago and is also the vice president of the Romanian Pentecostal Union in the United States and Canada, has organized a protest to be held on Jan. 8 at the Norwegian Embassy in Washington D.C.
Ionescu told CP on Wednesday that it is unlawful for the agency to begin adoption procedures without the case having been finalized by a court of law. "It's unclear and they use very vague language [about what beginning the adoption procedure means,] but it is absolutely incomprehensible to seek more information about the family and to assess them some more but in the meantime go ahead with the adoption process," Ionescu argued. "They cannot, usually in the United States and in many countries, you can not start the process for adoption until the last decision of the judiciary, of the courts, has been made. They are going parallel with that." The Bodnarius are not alone in fighting the Barnevernet to get their children back. Ionescu stated that the Barnevernet has a history of abusing its power. Ionescu cited the Radulescu family, who beat the agency in a case before the Supreme Court of Norway two years ago. Although the family won the case, Barnevernet is still going to list their children for adoption. "Barnevernet is going ahead with the process of adoption because they say that such a long time has passed and now it is going to be traumatic for the children to be returned to their parents," Ionescu said. As hundreds have already gathered for protests at Norwegian embassies in Romania and Spain, and protests are planned for January at embassies in London, Washington, Canada, Germany, India, Poland, Belgium, and the Czech Republic, Ionescu stated that the Bodnariu case is the best opportunity yet to build international awareness about the Barnevernet's abuse of power. "The reason we have this response for the Bodnariu family is because they have a very big family in Romania and in the United States," Ionescu said. "Secondly, we have a very, very strong and well-knit Romanian Pentecostal community here in the United States and throughout Europe." "This is an issue that is not going to die down for us," Ionescu continued. "The community is very, very motivated and we are not going to stop and it is not going to end until we see those children released to their parents. We are prepared to go for the long run. If it takes years, then so be it — we are not going to stop."